The National Marrow Donor Program (NMDP) was started in 1986 to serve as a national database of tissue types from individuals willing to donate marrow to patients needing a marrow transplant. Since that time, the registry, now called the Be The Match® Registry, has over 8 million individuals registered. It is linked with registries all over the world, making it an international registry to serve any patient needing a transplant anywhere in the world. 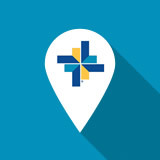 Find a location offering blood and marrow transplant.